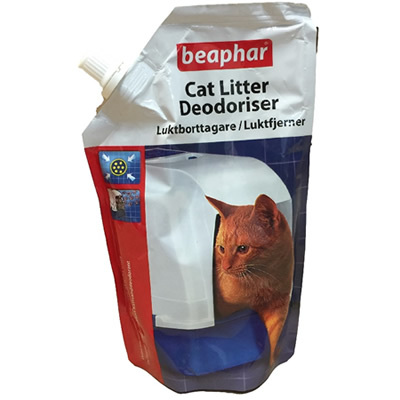 This striking packaging tells you that there is something different about this litter tray deodoriser, and the contents do not disappoint! Stay-Fresh uses advanced "encapsulation technology" to capture urine smells, which are then broken down into odourless by-products. This allows the litter tray to stay fresh for longer.